I’m conscious that the IT world is moving in the direction of “Serverless” code, where business logic is loaded to a service and the infrastructure underneath abstracted away. In that way, it can be woken up from dormant and scaled up and down automatically, in line with the size of the workload being put on it. Until then, I wanted (between interim work assignments) to set up a home project to implement a business idea I had some time back. I looked for the simplest way to run up a service on all the main cloud vendors. After half a day of research, elected to try Django on Digital Ocean, where a “one click install” was available. 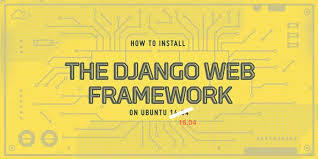 This looked the simplest way to install Django on any of the major cloud vendors. It took 30 minutes end to end to run the instance up, ready to go; that was until I realised it was running an old version of Django (1.08), and used Python 2.7 — which is not supported by the (then) soon to be released 2.0 version of Django. So, off I went trying to build everything ground up. The main requirement was that I was developing on my Mac, but the production version in the cloud on a Linux instance — so I had to set up both. I elected to use PostgreSQL as the database, Nginx with Gunicorn as the web server stack, used Lets Encrypt (as recommended by the EFF) for certificates and Django 1.11 — the latest version when I set off. Local development environment using Microsoft Visual Studio Code alongside GitHub. One of the nuances on Django is that users are normally expected to login with a username different from their email address. I really wanted my app to use a persons email address as their only login username, so I had to put customisations into the Django set-up to achieve that along the way. A further challenge is that target devices used by customers are heavily weighted to mobile phones on other sites I run, so I elected to use Google’s Material user interface guidelines. The Django implementation is built on an excellent framework i’ve used in another project, as built by four Stanford graduates — MaterializeCSS — and supplemented by a lot of custom work on template tags, forms and layout directives by Mikhail Podgurskiy in a package called django-material (see: http://forms.viewflow.io/). The mission was to get all the above running before I could start adding my own authentication and application code. The end result is an application that will work nicely on phones, tablets or PCs, resizing automatically as needed. It turned out to be a major piece of work just getting the basic platform up and running, so I noted all the steps I took (as I went along) just in case this helps anyone (or the future me!) looking to do the same thing. If it would help you (it’s long), just email me at [email protected]. I’ve submitted it back to Digital Ocean, but happy to share the step by step recipe. Alternatively, hire me to do it for you! ← WTF – Tim O’Reilly – Lightbulbs On!